I filed a chapter 7 five years ago. 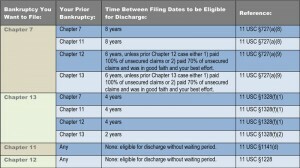 How long do I have to wait to file bankruptcy again? You can file over and over, but that is a bad idea. What we’re really worried about is getting a discharge. 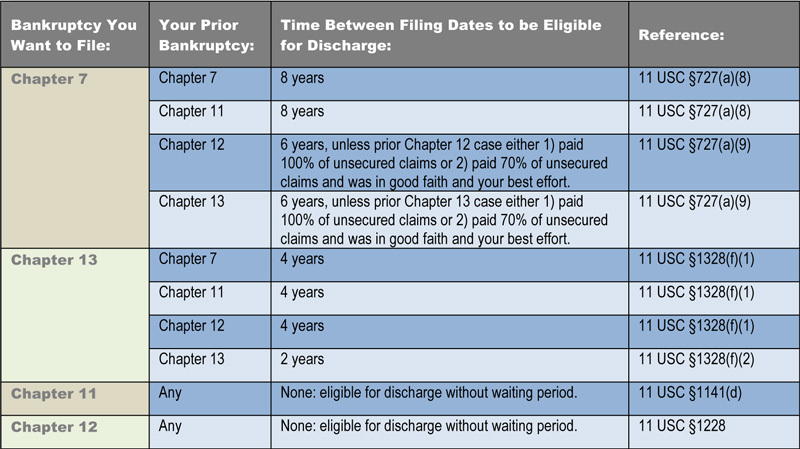 Short answer: you can file a chapter 13 immediately to stop creditors, whether or not you’re eligible for a discharge. Long answer: this is a complicated one. 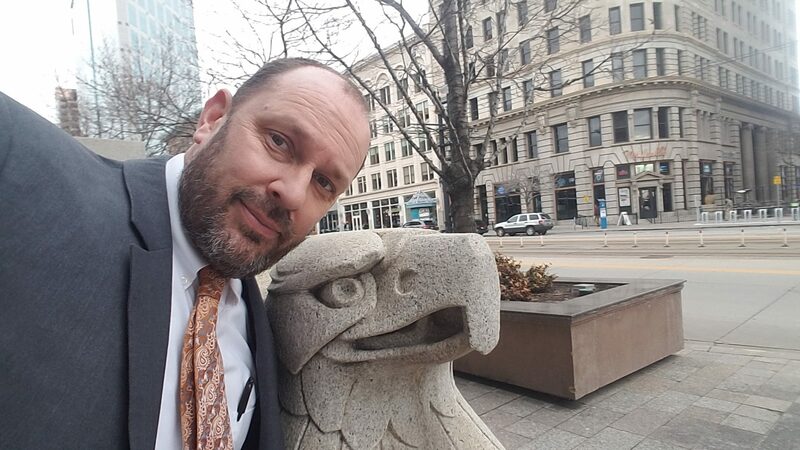 This entry was posted in Utah Bankruptcy on March 10, 2014 by robertspaynelaw.